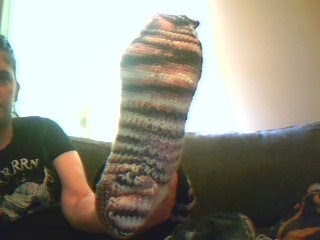 Ladies and Gentlemen my first sock is done!! Bask in its pink and brown and cream colored glory. Also? There's an awesome benefit I never thought of for having small feet. 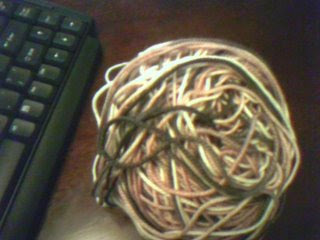 Normally one skein is enough for 2 socks. Well, after finishing one? Here's how much I have left. 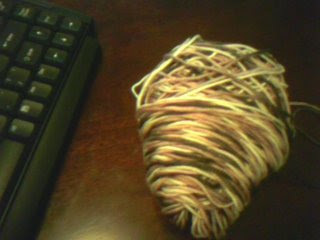 In my first ball of yarn. I still have this one which I never even touched yet. Nice work there. 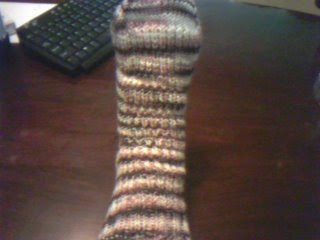 Rock on :o) I wish I could knit. 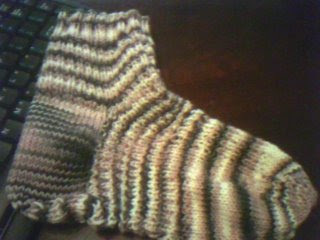 Great job!..This is just the beginning, now you will be hooked on socks!! 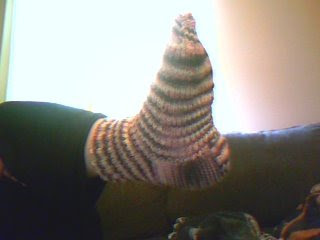 Very impressed with your first pair of socks, they look really nice! Thanks for the comment, it made me feel better. I remember being so proud - my first sock (and second sock) became my last socks - but you have done so well - keep knitting - you'll have a drawer full in no time!